This unsalted European-style cultured butter is silky smooth with extraordinary rich, nutty flavor and is perfect as table butter or for cooking and baking. 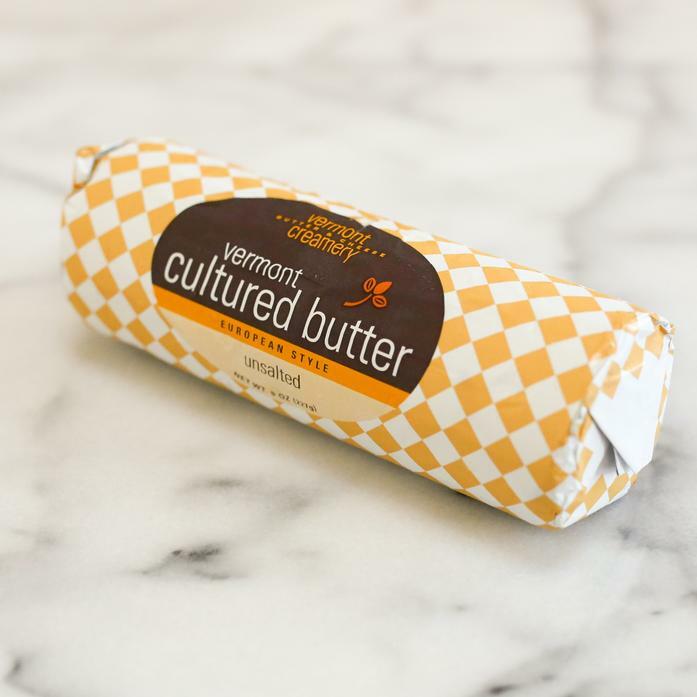 Produced by the Vermont Creamery in Northeast Vermont and churned in small batches from fresh, hormone-free local cream. The butter is cut, rolled into logs and wrapped in parchment paper.